As of 2000 the Orthodox Church had about 2000 members. Orthodox activities in Zimbabwe are conducted under the auspices of the ruling archbishop, His Eminence Serafim. The area of the Archbishop’s jurisdiction also includes the countries of Angola, Malawi, and Botswana. The Archbishopric counts 18 churches, 7 mission centers, 5 mission clinics, 1 technical school, 2 nursery schools, several Sunday schools and 2 orphanages — most of which are in Zimbabwe. The Hellenic Orthodox Church in Bulawayo. The clergy consists of 5 priests, 3 deacons and 1 circuit priest, 17 catechists (12 men and 5 women). The Archbishopric website is bilingual, with English at the bottom. 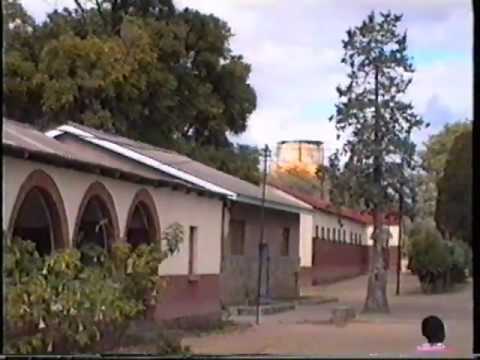 The St. Nektarios missionary center in Harare was the first center for missionary work in Zimbabwe. Other centers are the St. Augustine missionary center in Bulawayo and the St. Athanasios the Great center in Harare next to the residence of the archbishop. 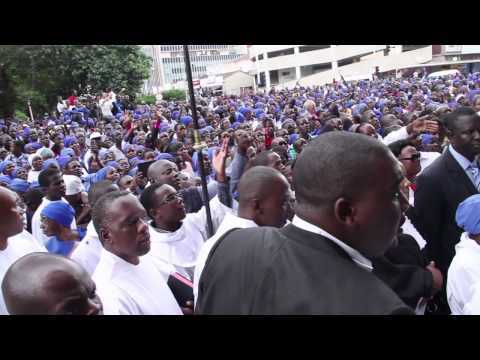 In addition to Holy Trinity Cathedral in Harare, there are ten other churches in the country. Canadian Amanda Eve Wigglesworth describes her experience as an Orthodox missionary in Zimbabwe. The initial presence of the Orthodox Church in Zimbabwe served only the needs of Greek Orthodox immigrants from Greece and Cyprus. It was during the last decade of the twentieth century that the Church began an active missionary program among the indigenous people. To govern church activities in the middle of Africa, the Patriarchate of Alexandria established an Archdiocese of Zimbabwe in 1968. According to OrthodoxWiki, Orthodoxy came to the indigenous people of Zimbabwe through the interest of a young Zimbabwean, Raphael Ganda, who was introduced to Orthodox Christianity at an army officer’s training course in Greece, After attending services at the cathedral in Harare, he, his family, and some friends were baptized in September 1994. He later attended the seminary in Nairobi. Returning to Zimbabwe, he worked at translations of the Divine Liturgy and conducted missionary activity in rural Zimbabwe.